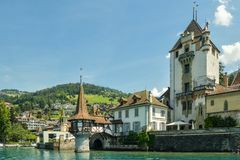 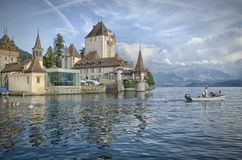 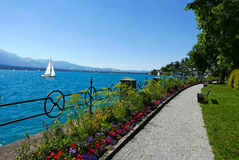 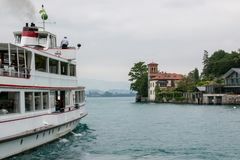 Schloss Oberhofen on Thun Lake, Switzerland. 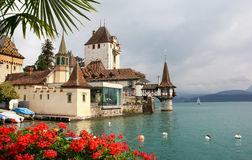 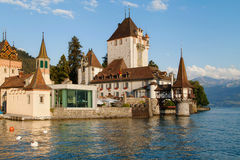 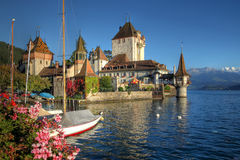 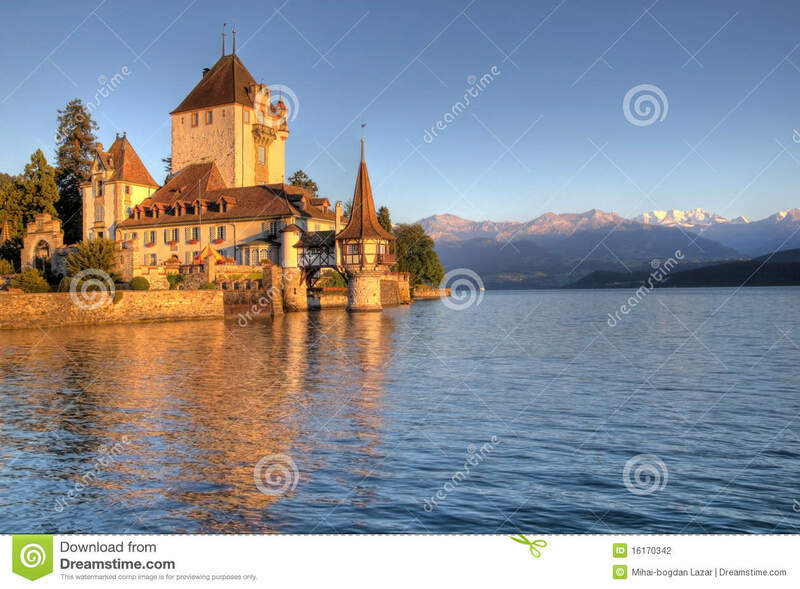 Last rays of sun on the romantic Oberhofen Castle (Schloss) on the edge of Lake Thun in central Switzerland. 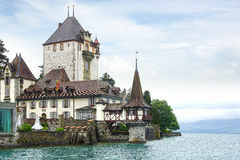 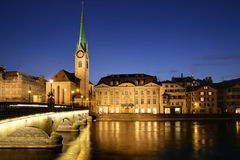 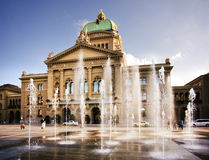 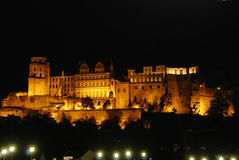 The main keep is believed to date from the 13th century, but the current shape of the castle is the result of works dating from the 16th century to the 19th century under the rule of Bernese lords.